Resurrection Sunday is a remembrance that God is in the business of miracles. On Easter Sunday Pastor Stan shared this message of hope. Intertwined in the service were stories of hope and restoration in marriages, physical ailments, addictions, divorce. They showed the before and after of heart wrenching–“it’s over” stories and how God delivered. Their road may not have been easier but God showed them a different way, a new story, a rebirth. What story or situation have you given up hope and said things like, “Well I guess I’ll deal with this for the rest of my life.” What is your “this” or “that”? Your life is a masterpiece created by God. He desires to give you a future and a hope. It’s not over EVEN when it’s over! 3 Praise be to the God and Father of our Lord Jesus Christ! In his great mercy he has given us new birth into a living hope through the resurrection of Jesus Christ from the dead, 4 and into an inheritance that can never perish, spoil or fade. 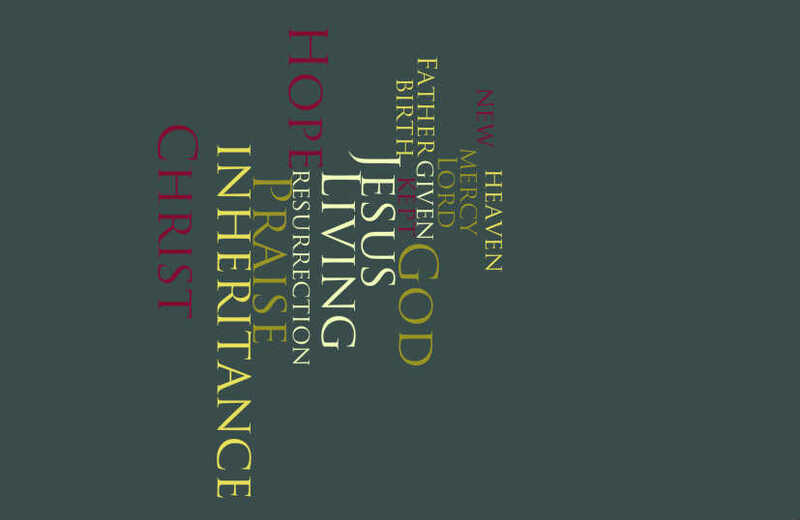 This inheritance is kept in heaven for you.